As a new cook, it was fun to discover new recipes. I tried Betty’s Guacamole, Farina dumplings and the Irish soda bread. I even tried her naan recipe, which turned out good enough to impress my other friends from India. 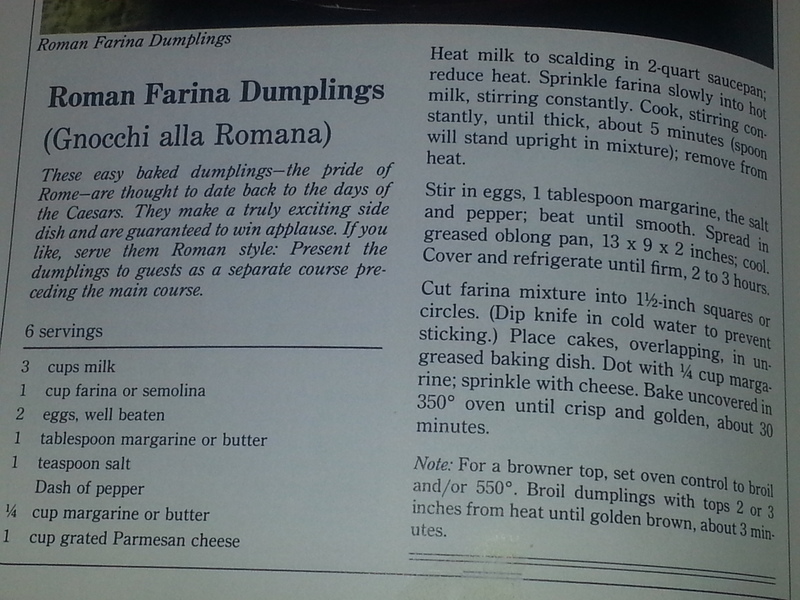 However, I kept making Betty’s Roman Farina dumplings again and again. It was something about the texture, taste, comfort and the ease of making them. Then we moved so many times, that I didn’t even remember where I had put the cookbook. Finally, a few days ago I found the book again, it looked fine except the first page was torn by my then six-month-old baby and a few stains here and there. I was introduced to Betty’s cooking at a friend’s house. When I expressed my love for her potato dish, she said, “Thanks to Betty, her cooking is amazing!” Then, when I found an International Cookbook by Betty up for sale at the local library, I bought it right away. The Desserts section was my absolute favorite. I tried almost all the recipes, Black Forest cake, Brazilian Nut cake, Carrot cake, Greek honey & walnut cake, Raspberry Chocolate cake. Her scalloped potatoes recipe turned out really good, though It was very different from what I had had at my friend’s house. 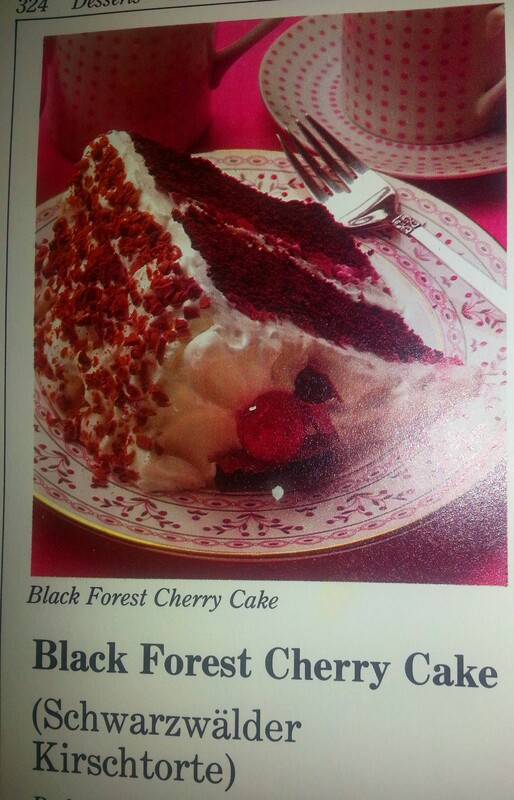 I decided to thank Betty for her cookbook and was rather crestfallen, when I realized that Betty Crocker was a brand name through and through, not one person. Besides the potatoes I had drooled over at my friend’s house turned out to be from a box – Betty Crocker’s Cheesy Scalloped Potatoes. Wonder! why they never tasted the same when I made them? Oh! well at least the recipes are for real. 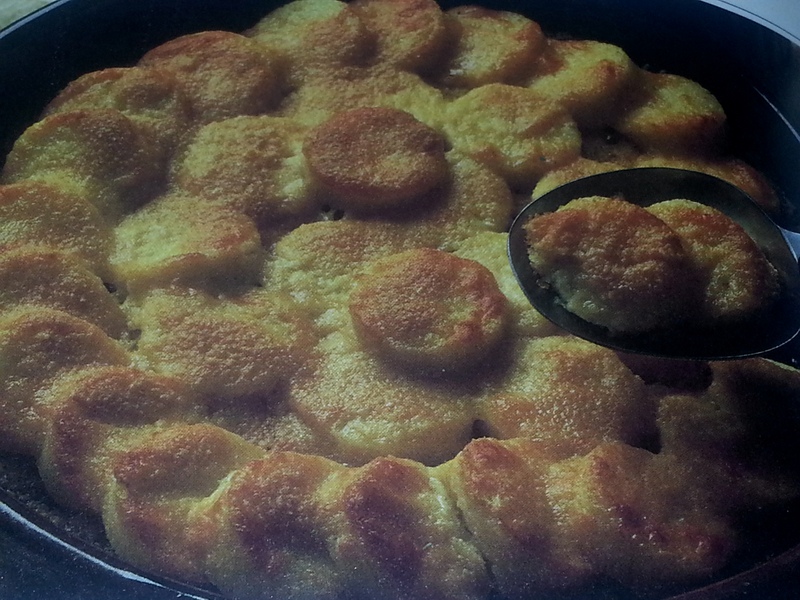 I am making the Farina dumplings again tomorrow, for my son who will be home for the holidays…. so here is the recipe..
Next: Next post: Arepas from Columbia…. Anyone? Thanks Susan.. it is a great recipe! I tried it the other day with cheddar cheese. It had a nice crunchy top layer over the soft bottom layer.. I love how you wrote this – it took me a while to catch on to who Betty is! I didn’t know “she” wrote an international cookbook! Looks like a great recipe! Welcome home to your “college boy”!